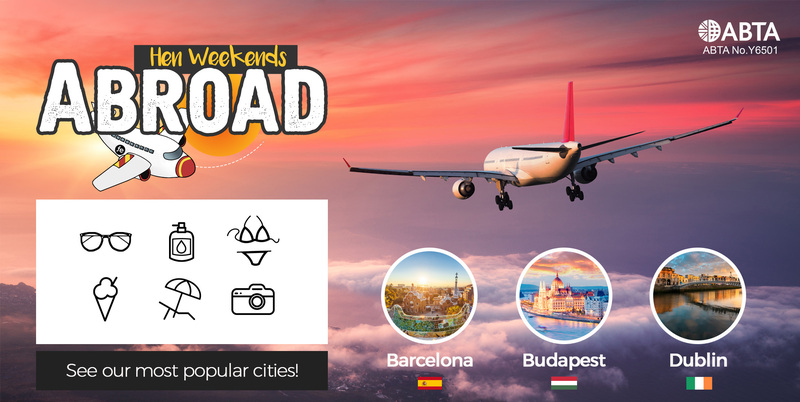 Hen Weekends Abroad | See Our Most Popular Cities! Make your celebrations memorable with a hen do abroad! Over the years, hen weekends abroad have been becoming more and more popular and it’s not hard to see why! There is a hen weekend destination that is perfect for every type of hen group. Here at Funktion we are proud to say that we have over 20 amazing hen party abroad locations to offer. Here are some of our most popular cities along with some extras that you may want to include into your weekend. Wanting some epic hen party movies to watch on the plane? Need any international travel advice? 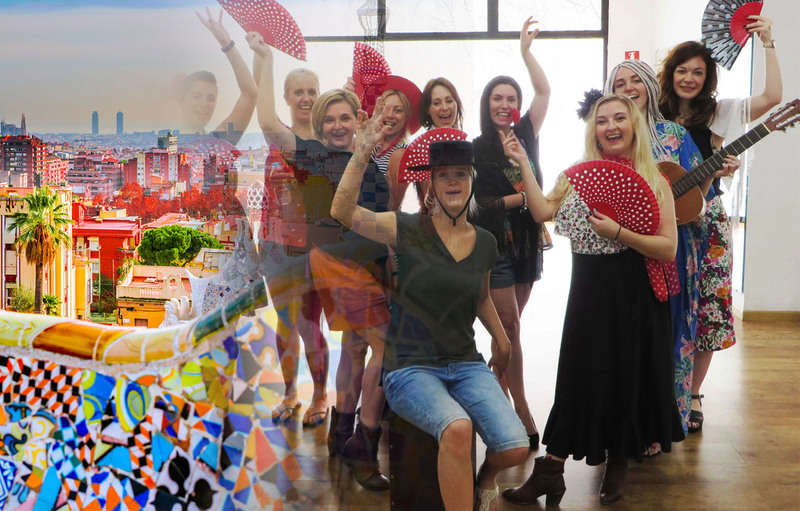 Known for its sandy beaches, impressive architecture and unforgettable nightlife, a Barcelona hen do is perfect for any hen group no matter what experience you are after. And with all of its natural beauty comes some impressive hen party activities that you can include into your hen do abroad. Live the life of luxury on your very own private catamaran cruise where for a few hours you and the girls will be able to sail along the Balearic Sea. Have an afternoon of pure relaxation, with a few drinks on board as you are exploring the seas. Another hen party activity that goes hand in hand with the life of luxury would be some wine tasting. If your hen thinks of herself as a wine connoisseur she will love venturing out into the beautiful Spanish countryside. You and the girls can try a few different types of local and inter­nati­onally acclaimed wines! The sun going down doesn’t mean it is the end of the day, in fact this is when Barcelona comes alive with hen weekend activities after dark, especially if you are after a flamenco show & tapas dinner. During the evening you will be able to enjoy a 30-minute flamenco show and then go to a local restaurant to enjoy some tapas dishes. If you girls are after the thrill that the hen party abroad can bring the murder mystery night might be right up your street. This unique and interactive experience will have your whole group exploring a private Spanish castle as you look for clues and solve riddles to crack the mystery. Since you are heading on a hen party in Europe you might want to get everything to do with the airport figured out before you have even left the country. With our return airport transfers we can offer you a stress free start and end to your weekend. Do you need help with your hen party planning? Dublin is known for its big reputation and is legendary when it comes to its nightlife. Let’s be honest, we only have to say the words Temple Bar to get your attention. A hen party in Dublin is full to the brim of amazing and unique Irish bars for you to explore! 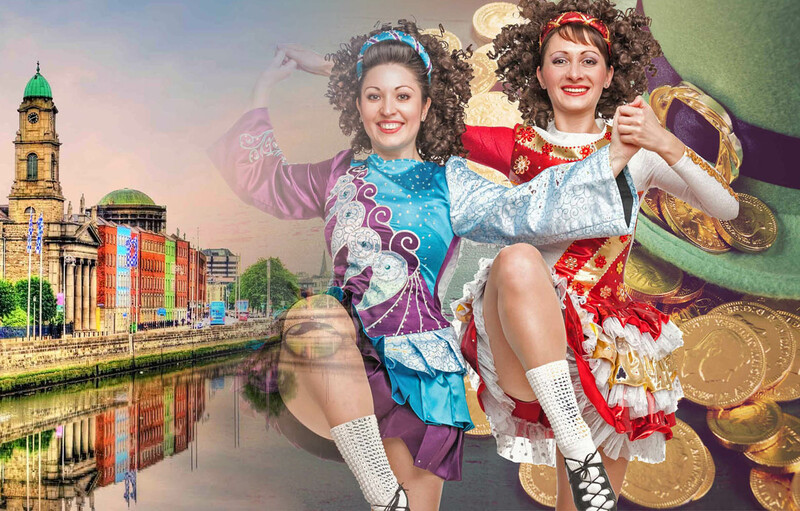 As well as the boozers, there's some equally as amazing hen party activities to try in between all the Guinness you will be drinking. A classic activity that you can do both at home and in Dublin is the old school sports day. You can expect the girls to be getting involved in games like the egg and spoon, sack race and the three legged race. No hen party is complete without dance parties, especially a hen party abroad! So dance your way through a selection of incredible dance party themes to choose from. From thriller to 80s, hip hop to burlesque. Add something a little bit cheeky to your day thanks to the Pleasure Boys Show where your group will be able to enjoy a show like no other. Full of laughs and giggles from the entire audience, it is definitely a treat for the bride to be. Get creative with the life drawing experience. Grab your pens and your paper and get to work on your masterpieces. All of the poses you can draw will be modelled by a very easy on the male model which of course makes this whole experience a lot easier. The easiest and most fun way to explore the city is with the smartphone pub treasure hunt. Not only do you get to make your way around the city centre, you get to go into different pubs and complete some hilarious challenges along the way! We’re ABTA bonded! Why shouldn’t you book with anyone else? This picturesque and iconic city is known for leaving its visitors wanting more. No matter how many times you visit you could never run out of fascinating areas to visit and find due to its beautiful, natural settings and outstanding architecture. From ruin bars to outdoor thermal spas, a Budapest hen do is perfect for almost anyone. 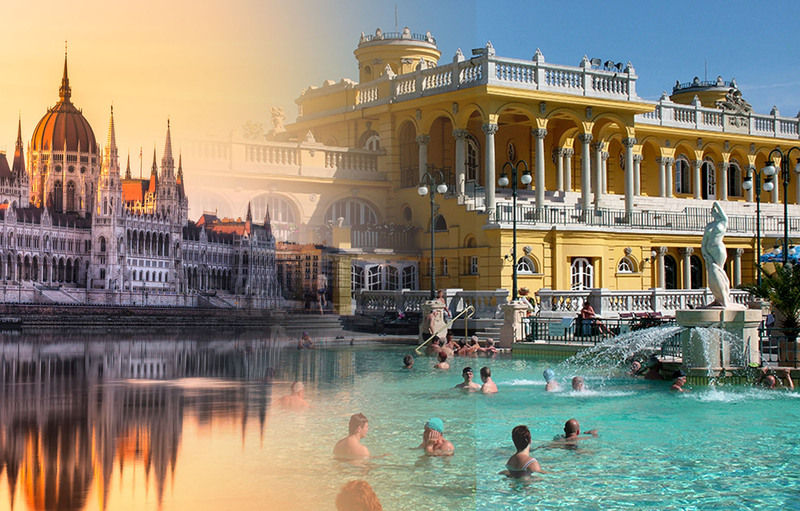 One thing that Budapest is most famous for is its immense amount of natural, rich in minerals thermal baths. The experience is like no other and is one that is perfect for starting your hen weekend. If Budapest is a city you haven’t explored by now, you won’t know about all of the incredible buildings and hot spots that run throughout it. Which is why the sightseeing city tour is pretty high up on our list of things you need to do. There is nothing like tucking into some food like the locals during your hen weekends abroad. The traditional Hungarian dinner is a great way to fill your stomachs in the evening before heading out to experience what the nightlife in Budapest is like. Speaking of the nightlife, a great way to explore would be with the public ruin bar crawl. You and your group will be able to enjoy a fully guided bar crawl around some incredible ruin bars which will provide you with some amazing atmosphere and drinks. Make sure with your hen party abroad that you make sure your as organised as you can be, starting with the airport, kick start the celebrations with the party bus airport transfer. Start the weekend as you mean to go on thanks to a cheeky on board cash bar.